I was eagerly awaiting this book after I fell in love with the characters and story in the first book, Forgetting Yesterday, in the series. After reading this masterpiece I was not disappointed, but instead I have become completely addicted to this series. This book picked up from where the first book ended and it manged to consume me from the very first page which in turn lead me to completing the book in a couple of hours. I loved the drama, pain and love which were the essence of this book. This book once again made me a fan of Ava Wood because her flawless and masterful writing brought both the characters and emotions alive. I loved seeing both Missy and Adam's characters grow and even though I didn't agree with the way Missy dealt with the breakup I enjoyed seeing her journey. Once again I loved Adam's protective side even though I hated that he broke Missy's heart. The addition of new secondary characters such as Jeannie and Marco was good as it kept the story from becoming boring and repetitive. 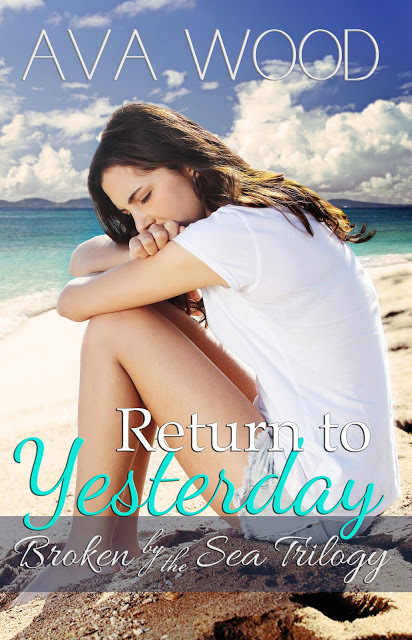 The romance between Adam and Missy was not as much in this book due to misunderstandings, but the journey of them finding their way back to each other was sweet. I would again like to have seen some of the story from Adam's point of view I order to understand him better. I absolutely love this series and am going to reading the last book soon so watch out for my review. The book picks up where Adam had broken up with Missy Shaw. With Missy's father returning to his alcoholic habits and her breakup with Adam, Missy ends up becoming a hollow she'll of herself who just goes through the motions of life without any care. During this time she begins to spend time with her co-worker Marco who helps her take her mind of all the pain surrounding her. Close to graduation, Adam returns home and back into Missy's life, with Lindsey on his arm. All Missy's emotions and pain come rushing back to the surface and now she has to find a way to try and move on from Adam and save her heart and life.